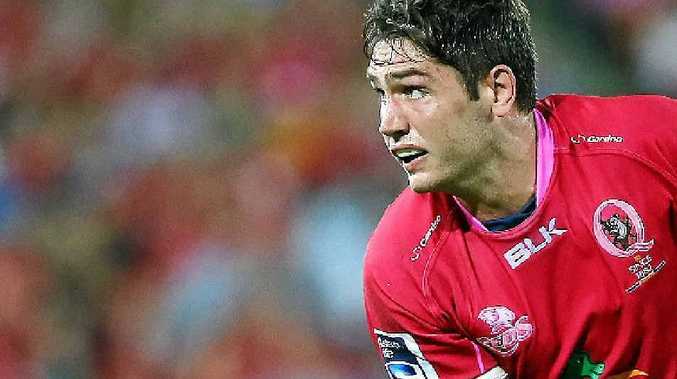 RUGBY UNION: Queensland Reds lock Rob Simmons believes a tough workout against the Stormers last round will hold the team in good shape at Suncorp Stadium this Saturday night against a Western Force side coming off a bye. The Force has won its past three games, its last one being over defending champions the Chiefs, before running into a day off last weekend. The Reds were pushed all the way in their 22-17 win over the Stormers. "The physicality of the Stormers will put us in good stead against the Force," Simmons said. "It's always a physical battle. "Their forwards try and get stuck in to us and we'll be up for that, and we'll try and take them on. "At times you can come off the bye and you can be worse for it, because you have momentum into it and the bye slows you down, then you don't start a game how you want to. "So it'll be interesting to see what happens." Simmons said he and his fellow forwards would try to protect halfback Will Genia, who displayed some promising signs with the ball against the Stormers. "They'll try and limit Will Genia's probing around the rucks quite a bit, so there'll be an onus on us forwards to go a bit wide wider and free Willy and Quade (Cooper) up," Simmons said. Simmons said the Force's back three would be a constant danger. "They've got Luke Morahan and Nick Cummins on the wing, and Jayden Hayward at the back," Simmons said. "They understand what they want in their team and they pose a threat back there. "We see them as quite a danger." Simmons admitted he carried a target on his head going into 2014, following an outstanding end-of-season tour to Europe. He continued his strong form against the Stormers last week, scoring a try. "It was good to be able to be thrown out like that, but I suppose going back to the pre-season you've just got to work harder again," he said. "You then have a target on your head as people try to knock you off your perch. "I've just got to keep working hard and trying to get better." Reds forwards coach Nick Stiles said both he and head coach Richard Graham, both former coaches at the Force, were not letting the emotion of this game dominate their preparations. Stiles added his forwards would need to be strong at the breakdown to protect Genia.